When it comes to always being on the go, it’s crucial that you stay nourished. And, you get double points if you go green at the same time. 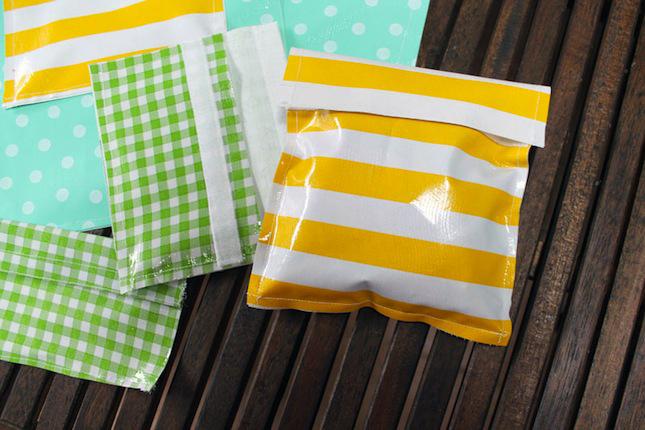 Instead of throwing tomorrow’s lunch or snack into yet another plastic baggie that you’re bound to throw away, why not create reusable snack bags? 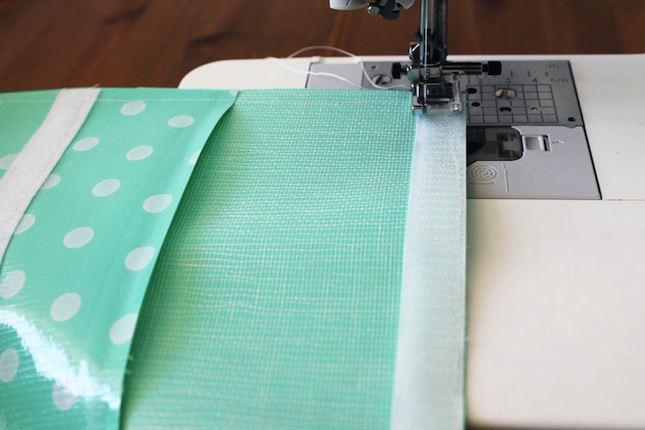 These take just a few minutes to make and are powered by none other than our easy-to-use Sew-On products. We chose a few summery patterns of oil cloth. 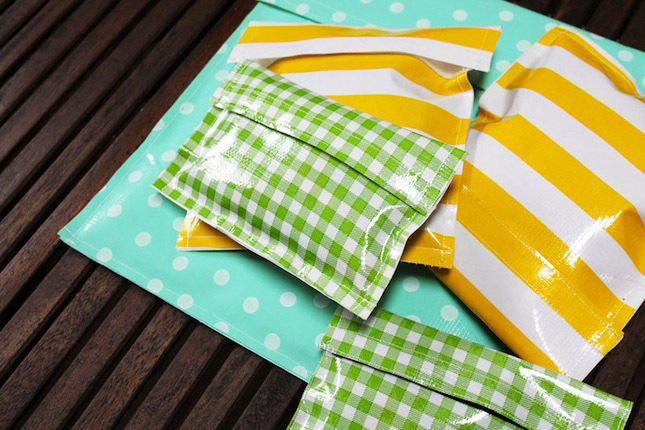 In case you’re not familiar with oil cloth, it’s a plastic-like material that doesn’t fray, is waterproof, and is as easy to cut as paper. It’s kind of a wonder material, if you ask us ? To measure out our first bag, we used a plastic baggie! 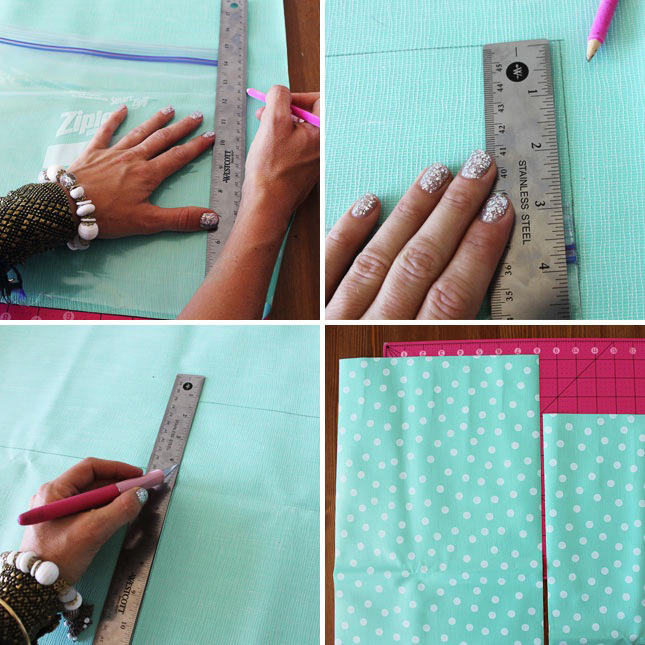 Measure around the bag twice (for each side). 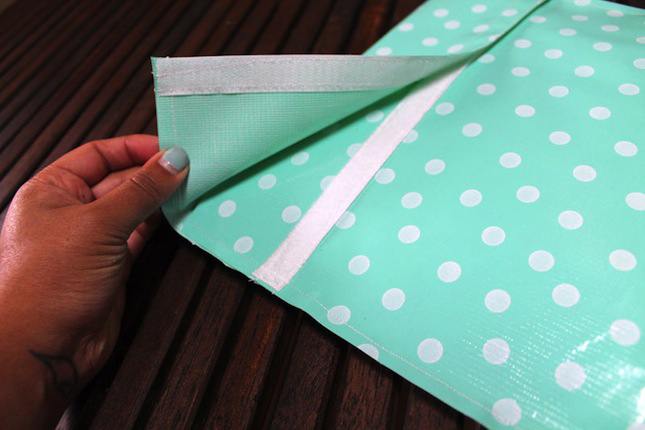 For one of the sides, add one to three inches – this will act as the flap that secures your bag. 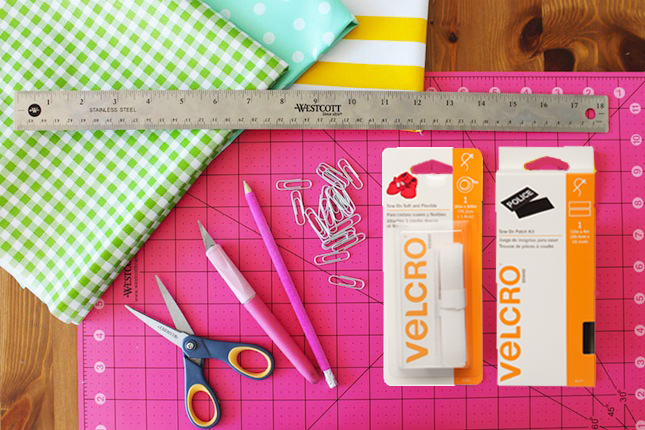 Measure the flap over the back side of the bag and sew on the loop side of your VELCRO® Brand Sew-On White Tape. You should have two pieces that look like this. 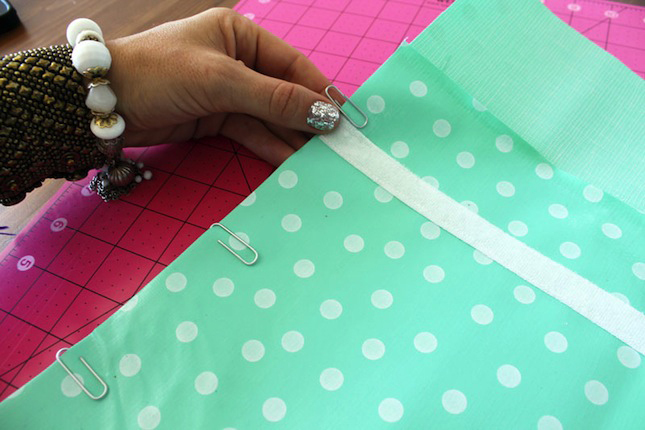 Use paper clips to hold your two pieces together. Now sew! 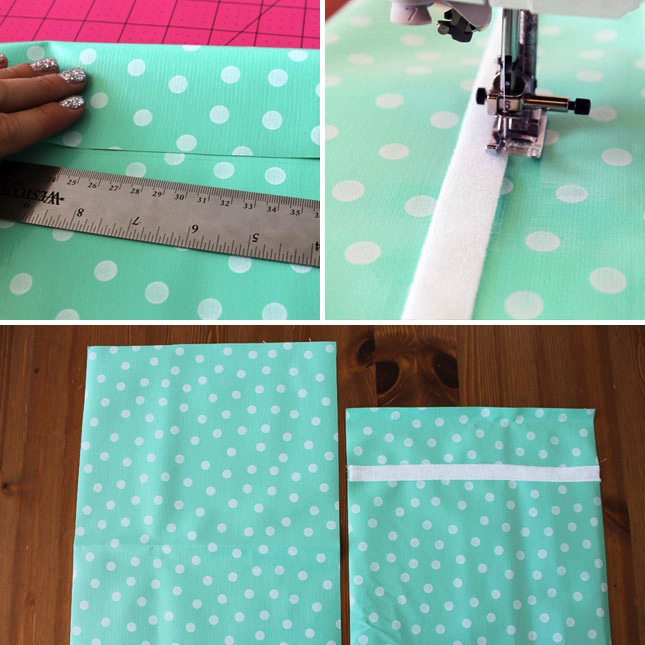 Sew all the way around the bag, and then sew on the remaining VELCRO® Brand Sew-On White Tape onto the top flap. And you’re done. Seriously – it’s that easy. We made a whole bunch! 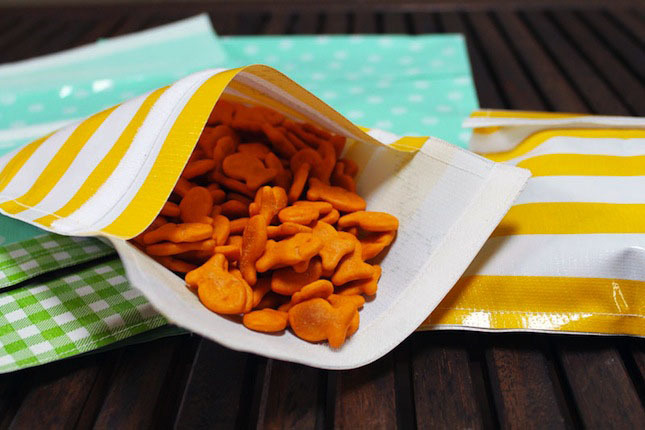 Trail mix and Goldfish? Yes please. 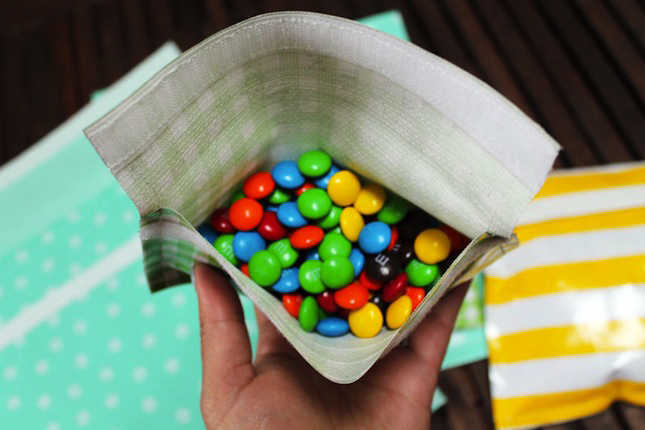 These are great for any time of year, for snacks, meals, and anything else you like to munch on on-the-go! 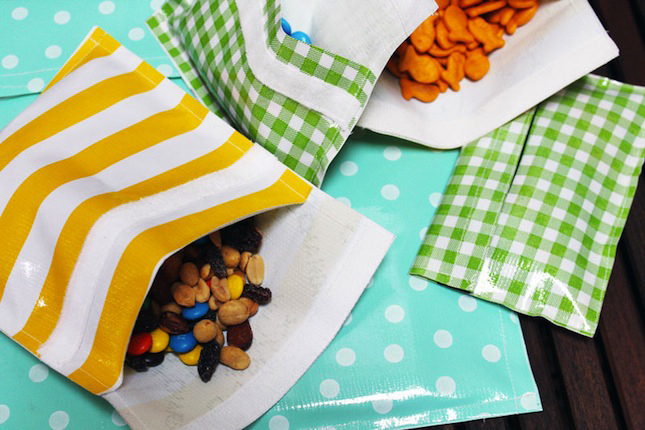 What cool things have you made using VELCRO® Brand products? Talk to us in the comments below.